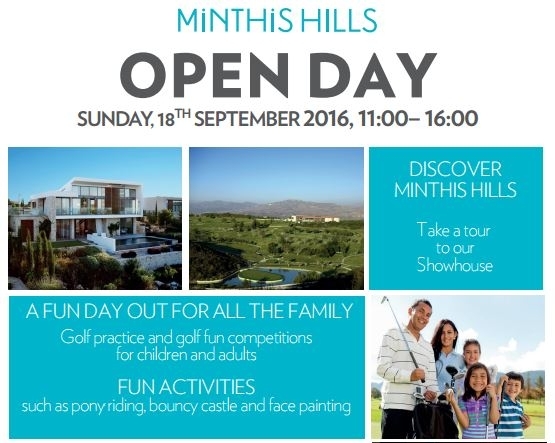 Save the date and visit Minthis Hills Open Day on Sunday 18th September 2016 between 11:00 - 16:00. The event is a perfect opportunity to discover the beauty of Minthis Hills and take a tour to Minthis showhouse. 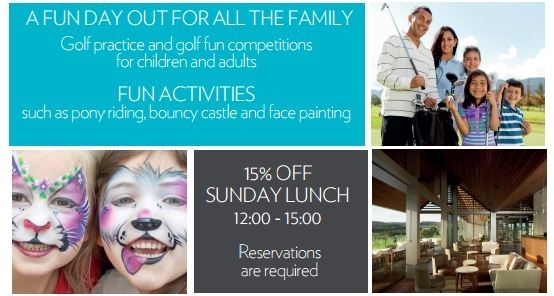 The Open Day shall be a fun day out for all the family with golf practice and golf fun competitions for children and adults and many fun activities including pony riding, bouncy castle and face painting. After the great fun the best way to relax is to enjoy Sunday Lunch at the Minthis Hills restaurant overlooking the golf premises and garden. During the Open Day, lunch will be offered with 15% discount and will be available between 12:00 - 15:00. However, please remember that reservations are required. In case you are interested for information on organising your memorable special day including your wedding, christening or special event, Minthis Hills is a perfect venue. During Open Day you can arrange to visit the monastery and meet the experienced events coordinator to plan your special event.